Home / Health Information / Information About Arthritis: How To Relieve Joint Pain? Information About Arthritis: How To Relieve Joint Pain? Arthritis is a joint disease, can be understood as the inflammatory condition of articular that directly affects to the cartilage. Joints are the place where two or more bones connect that make skeleton flexible and allow movements. For example, the knee joints are formed between the lower leg bones (tibia, fubia and thigh bone); the hip joints are where the femoral head (the highest part of the thigh bone) contacts with a concave portion of the pelvis (acetabulum). Cartilage is the slippery tissues which covers the bones of joint. Healthy cartilage allows the bones to slide past each other. Cartilage also helps to reduce friction during movement. If there is any issue happening during movement such as being injured or overworked or sometimes the natural degenerative process make cartilage broken and worn away. Meantime, joint cartilage or epiphyseal cartilage is injured which will increase friction between two epiphyseal causing joint aches and then leading to osteoarthritis. Arthritis is a major reason which causes loss of ability to control movement and severe disabilities for many people. 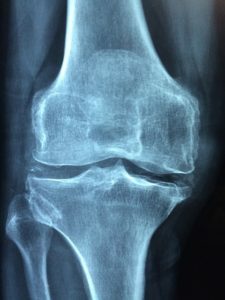 According to osteoarticular experts, there are different types of arthritis including: common arthritis, rheumatoid arthritis, degenerative joint disease (chronic arthritis), Fibromyalgia (the disorder causes muscle and joint pain), Lupus (Systemic lupus erythematosus), Gout, Septic arthritis (joint infection) and Juvenile rheumatoid arthritis (arthritis in children). Arthritis includes over 100 rheumatic diseases and other related diseases affecting to osteoarticular, the tissues surround joints and connective tissues. The different types of arthritis have different signs and symptoms; the severity is depending on each specific disease. Below is details information about the most common diseases relating to arthritis. 1.1. What is Rheumatoid Arthritis? Rheumatoid Arthritis or RA is an autoimmune disease; it means that the immune system attacks the healthy cells in the body due to mistake causing inflammation in affected parts in the body. Rheumatoid Arthritis mainly attacks the joints, usually many joints at the same time. In Rheumatoid Arthritis, the lining of the joints are inflamed which cause damaged joints and lead to chronic joint pain and joint deformity. In addition, Rheumatoid Arthritis also affect to the whole body. This means, beside joints, it may affect to different tissues in the body and cause other issues in the organs such as lungs, heart and eyes. The first stage: Most of the osteoarticular diseases often have a common characteristic that is silently developed for a quite long time. Similarly, Rheumatoid Arthritis often lasts for 1-2 years. At the beginning, it has external manifestations such as swelling, heat, redness and pain. At this time, the injuries are just newly appeared in the synovial membrane, swelling and pain are just appeared at the soft tissues so the X-ray result does not have changes and the patient still has ability to control movements almost normally. The disease continues progressing but does not leave significant sequlae after each time of inflammation and does not have much influence to the whole body. The second stage: After progressing in a long time and the patient does not recognize soon or does not have any treatment method, the severe symptoms begin to appear. At this stage, the abrasive injury at joint cartilage and epiphyseal begin to appear (X-ray film shows missing image, narrow joint slot) due to the series of inflammations in the synovial membrane. Once these lesions appeared, these cannot be lost. The ability of movement of the patient is restricted, can fist but have to walk with a cane or a crutch. The third stage: The lesions in the joint cartilage and epiphyseal becomes more severe if there is no prompt treatment. These lesions cause joint slots gradually being narrow, the epiphyseal being sticked together leading to joint deformity, spondylitis, stiffness, and multiple lesions in epiphyseal, joint cartilage. The ability of moving is less, the patient can only self-serve for daily life but can not walk. 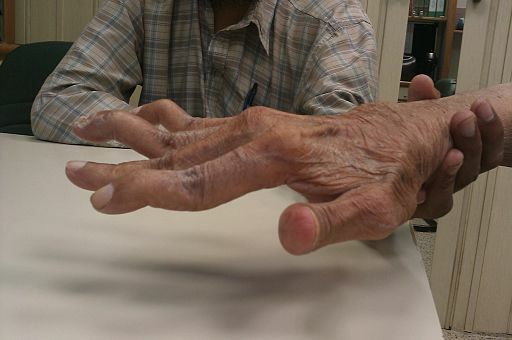 The fourth stage: This is the most serious stage of Rheumatoid Arthritis, often after 5-10 years. If there is no treatment or wrong treatment, the joints will be sticked together causing severe joint deformity. Then the patient may lose motor function, become fully disability. Rheumatoid Arthritis may also cause complications for the heart such as inflammation of the pericardium, open-heart valve, heart failure, and cardiovascular collapse…even cause death. Above are the development stages as well as accompanied manifestations of Rheumatoid Arthritis that people should pay attention and have preventive methods. Especially for elderly people who have high risks of Rheumatoid Arthritis should be more careful. Doctors may diagnose a part of RA based on the signs and symptoms of the patient. At the first stage of RA, it can be the same with other types of joint inflammation, there is no any trial to verify RA at this stage. In order to have a right diagnose, the RA experts may ask the patient answer some questions relating to personal biography and family background, require clinically examinations and diagnostic tests. Anamnesis: Doctors ask about personal’s medical history and patient’s family as well as the recent symptoms and now (pain, stiffness, hard to move). Physical Exam: Doctor will check each joint to find out the swelling areas and pains, and where the movements are restricted. The number and position of affected joints may also help to indicate RA. For example, RA tends to affect to symmetric joints in the body. This Physical Exam may also find out other symptoms such as rheumatoid nodules can be palpable under the skin or mild fever. Blood tests: The blood tests will measure the degree of inflammation and seek for biomarkers sich as antibodies (proteins in the blood) are associated with RA. Inflammation: The ratio of erythrocyte sedimentation (RES or sedimentation rate) and C-reactive protein levels (CRP) are the symptoms of inflammation. A high ESR or high CPR does not cause RA, but when they combine with other clues such as antibodies helping to diagnose RA correctly. Antibodies: Rheumatoid factor is an antibody that is found in about 80% of people with RA in the illness. RF may occur in other inflammatory diseases, it is not a sure sign of RA. Another antibody – anti cyclic citrullinated peptide (anti-CCP) mainly occurs in RA patients and that is a clue to diagnose RA. But anti-CCP only can be found in 60-70% people with RA and it may exist even before having symptoms of RA. Imaging tests: X-ray, ultrasound or magnetic resonance imaging can be done to find out joint injuries such as worn image, concave image, epiphyseal missing image, narrow joint slots image, epiphyseal without mineral. If the image tests do not show the joint injuries when do not exclude RA, this disease may be at the first stage and the joints do not get damaged yet. Until now, Rheumatoid Arthritis can not be cured completely, but if we follow a comprehensive and positive treatment method for a long term as well as monitor regularly, it may help to relieve inflammation, relieve joint pain and improve the movement function of the joint, prevent joint injuries and organs, reduce the long-term complications. And the treatment plan has to be suitable with the patient’s demands and lifestyle. Rheumatoid Arthritis is usually treated by a professional health care experts team including Rheumatoid Arthritis expert, physiotherapeutic expert, sociologist, functional rehabilitation expert and orthopedic surgeon. Treat Rheumatoid Arthritis by using drugs. There are different types of drugs have been used in Rheumatoid Arthritis treatment. Some drugs are mainly used to relieve the symptoms of RA, some others are used to slow down or hinder the disease’s development and inhibit joint injuries. Nonsteroidal anti-inflammatory drugs (NSAID) include non-prescription drugs such as aspirin, ibuprofen and naproxen (aleve, Naprosyn) or some prescription drugs that may help to relieve the symptoms of RA. However this drug type may cause some side effects such as gastric dysfunction, ulcer, decreased kidney function or allergy in some patients. Celecoxib (Celebrex) – a newer type of NSAIDs called a COX-2 inhibitor. It is manufactured to be safer for the stomach, but does not mean that it does not affect to the stomach. There’s a study indicated that people with bleeding ulcers have risks of stomach ulcer up to 10% comparing with people with new ulcers treated with celecoxib. The similar risks also occur in patients using high doses celecoxib and people using diclofenac combined with omeprazole. Corticosteroid drugs include prednisone, prednisolone and methyprednisolone – are rapid and powerful anti-inflammatory drugs. However this type of drug cause many side effects such as easy bruising, osteoporosis, cataracts, weight gain, puffy face, diabetes and high blood pressure. Therefore, doctors usually provide a prescription for a short time and with the lowest dose while waiting for the effects of basic medications treatment. If you use corticosteroid, strictly obey the doctor advices. Remember that stop using corticoid suddenly can very dangerous. DMARDs is an abbreviation of disease-modifying antirheumatic drugs, are group of drugs working to slow down or hinder the development of RA by changing functions of the immune system in the body. Most of the experts recommend that people with Rheumatoid Arthritis should use DMARDs as soon as diagnosed to reduce the risks of joint damage. It takes a time for these drugs workind, so doctors may consult you to use NSAUD, corticosteroid or both in the first weeks or the first month treatment with DMARD. Traditional DMARDs include methotrexate, hydroxycholorquine, sulfasalazine, leflunomide, cyclophosphamine and azathioprine. These drugs must be prescribled by doctors, can be taken by drink, injection or infusion. The newer DMARDs are called biological DMARDs including abatacept (Orencia), adalimumab (Humira), certolizumab (Cimzia), etanercept (Enbrel), golimumab (Simponi), inflixim (Remicade), rituximab (Rituxan), tocilizumab (Actemra. These drugs may work better than traditional DMARDs. However many patients have got positive sign when using the old DMARDs that are also less expensive, that’s why most of the doctors recommend you to treat with traditional DMRADs. This type of drug can be taken by injection or infusion. A new drug – tofacitinib (XELJANZ) is not a biological drug. It is called a “Janus kinase (JAK) inhibitor” because it inhibits a type of enzyme (Janus kinase) relating to inflammation. This drug brings another choice to patients in RA treatment but it is quite expensive. It has an advantage comparing with other new drugs that is available in pill form. Surgery is necessary for severe situations and diseases, such as affected joints, gout, or joint degradation. Its functions are primary to enhance joint flexibility. Knees and hips are usually the most common places to have successful surgeries, which getting synovectomy or knee arthroscopy is the very first task to do. In the worst case, you have to do surgery to remove the joints and replace by artificial joints. It means that you have to completely depend on the others later on. The program and intensity of personal exercises regulated by physical the physiotherapeutic experts may help to delay losing your joint function. The joint protective methods, such as heat and cold therapy, use splint equipments or orthopedic instruments to improve and rearrange joints. They are also really useful. 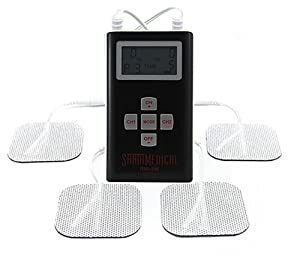 Sometimes, the therapist will use the special machines that stimulate heat or electricity to relieve the patient’s pain and enhance the circumstance of joint mobility. The physiotherapeutic experts may also fix the splints on your hands and wrists to train you brand new ways to protect yourself from arthritis. Moreover, They guide you the ways to resolve the daily tasks at home and at office while you are suffering from Rheumatoid Arthritis. Spend time to rest and relax between the activities, sleep adequately (8 – 10 hours per day). Prosorba Column can be considered a medical device that helps to remove inflammation in the blood. It is best-known for treating medium or severe arthritis, which is common in adults, and people who have not got positive signs when using DMARDs. Treatment by this device takes at least 2 to 3 hours and needs implementing continuously once per week and during 12 weeks. Several studies indicated that: about 30 to a 50 percent of people are treated by this device having positive signs and improving their Rheumatoid Arthritis condition. However this method causes some side effects such as anemia, fever, nausea, low blood pressure, and even fatigue. Furthermore, some doctors and nurses have become infected from the tubes which are used to remove blood. Commonly, within couple of days after having treatment by this device, patients will have erythematous reaction to the pain in the joint. 1.5. Some complications may occur due to Rheumatoid Arthritis. Peripheral neuropathy: usually occurs in the feet and hands with tingling signs, numbness or burning sensation allocated to regions of affected nerves. Inflammation of eye sclera: The process of inflammation impacts on the vascular system in the eyes hurting sclera, leading to redness eyes and feeling of itchy eyes. Infection: People with Rheumatoid Arthritis are susceptible to infection, especially when they are treated by inflammatory drugs. Skin diseases: People with Rheumatoid Arthritis usually have skin problems, often occurs in fingers and the areas under the nails. The injuries can be erythematous plaques, skin ulcers, skin blisters, and hard lumps under the skin or other injuries. Osteoporosis: Postmenopausal women with Rheumatoid Arthritis have higher rate of osteoporosis than other postmenopausal women do not suffer from RA. The men above 60 years old with Rheumatoid Arthritis also have higher rate of osteoporosis than other men at the same age but without RA. Lung diseases: People with Rheumatoid Arthritis are susceptible to suffer from chronic lung diseases such as interstitial pulmonary fibrosis and pulmonary hypertension…The treatment process of these diseases may also cause similar injuries. Kidney disease: Rheumatoid Arthritis itself rarely affects to the kidney but the medications of RA may damage to the kidney. Inflammation of blood vessels is an unusual auto-immune phenomenon on many small blood vessels affecting to different organs in the body. The common signs of the inflammation are mouth sores, the nerves disease, and the sudden decrease of lung functions, coronary artery disease, and inflammation of the arteries that feed the small intestine. Heart disease: People with Rheumatoid Arthritis have higher risks of death due to coronary artery disease than normal people. The recent studies have proven that the chronic inflammatory phenomenon combines with Rheumatoid Arthritis are the main factors leading to the risks of coronary artery disease. Lymphoma disease and other cancers: Lymphoma is a type of cancer originating from hematology. People with Rheumatoid Arthritis have higher risks of non-Hodgkin disease than normal people. The prolonged process of Rheumatoid Arthritis plays an important role to the formation and development of Lymphoma disease. In addition, the treatment process of Rheumatoid Arthritis can also be a factor causing Lymphoma. The opportunistic diseases: People with Rheumatoid Arthritis have 2 times higher rates of the opportunistic diseases than normal people. The process of chronic Rheumatoid Arthritis and immune deviation are the major causes of Rheumatoid Arthritis and the opportunistic diseases. The pregnant women with Rheumatoid Arthritis have higher risks of premature birth and are susceptible to suffer from high blood pressure at the last 3 months of pregnancy. 1.6 How to prevent Rheumatoid Arthritis? There are no specific preventive measures, the proactive preventive interventions for Rheumatoid Arthritis are the general measures to strengthen the health, improve the body condition including: healthy eating habits, regular exercise, moderate working and stay away from stress. Early detection and treatment of infection diseases and the immune disorders condition are really necessary. Have healthy eating habits; eat more food-rich in antioxidants. There is no specific dietary for people with Rheumatoid Arthritis. The researchers have verified that the food-rich in antioxidants such as fish, vegetables, fruits and olive oil may help to soothe the pains and relieve inflammation. Resting is really essential for patients with RA, especially when the pains and swellings or stiffness appear. Resting helps to relieve inflammation, reduce fatigue and protect osteoarticular. Doing exercise is really beneficial for people with Rheumatoid Arthritis. It plays an important role in Rheumatoid Arthritis treatment. The aerobics exercise programs help to enhance muscle and the flexibility of osteoarticular. These programs are designed depending on the physical condition and abilities of each patient to avoid causing joint injuries. Using heat therapies at home such as heating pads or soaking feet in warm water help to soothe stiff joints and muscle aches. 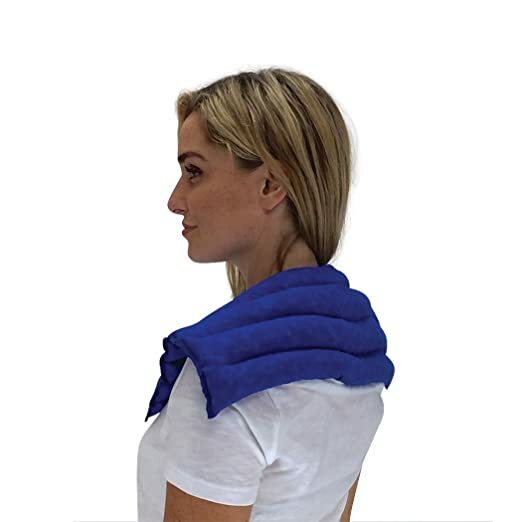 Cold heat is used for acute pains, it helps to numb the pain areas and relieve inflammation. The relaxation techniques such as deep breathing and meditation are really useful, help to relieve painful feelings. The studies indicated that massage may help to relieve arthritis pain, improve joint functions and reduce stress and worries. Acupuncture and acupressure are also really useful. Use some functional food to supplement nutrients to the body. 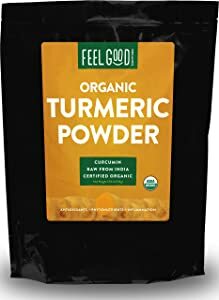 The studies indicated that supplementing turmeric oil and omega-3 may help to relieve arthritis pains and joint stiffness in the morning. However, you should consult your doctor before using any functional food, any nutritious supplement food to avoid side effects. Have positive attitudes, live optimistically and enjoy your life. There are many studies showing that the patients with comfortable spiritual life and positive attitudes in life have ability to recover quickly. Family, friends and colleagues offer great spiritual supports for patients with RA to overcome the pains and the changes happening in their life. Osteoarthritis is the most common type of arthritis affecting to millions of people in over the world, especially in middle-age and elderly people. It occurs when the cartilage covers the ends of bones worn down over the time. Osteoarthritis may affect to any joint in the body, but mostly affect to the knees, hips, back, neck, small joints in fingers and toes. This disease is usually developed after many years of osteoarticular operation. The other risk factors of Osteoarthritis may include obesity, joint injuries and family history of OA. Osteoarthritis and Rheumatoid Arthritis are two different types of arthritis and they have different treatment therapies. Rheumatoid Arthritis is an autoimmune disease that causes joint inflammation due to the healthy tissues being attacked, leading to joint pain, swelling and stiffness, while Osteoarthritis is the degeneration condition of joint cartilage and spinal disc causing joint pain and swelling. However Rheumatoid Arthritis and Osteoarthritis have some similarities – both can occur in the hands, feet and wrists. At the moment, there is no cure for RA or OA but there are several treatment therapies that can help to significantly reduce the symptoms of both diseases. There are variety of symptoms of Osteoarthritis depending on the affected joints and its severity. However the most common symptoms are joint pain and joint stiffness, especially in the morning or after resting. The affected joints may be swelling up, particularly after having prolonged activities. The pains become worse after having physical activities or at the end of the day. Hips: people with OA will feel pain in the inguinal region or gluteal region, and sometimes inside the knees or thighs. Knees: People with OA feel jarring, or hear the crunched sounds when moving the knees. Fingers: bones grow on the edge of joints causing swelling, redness and pain in the fingers, maybe pain in the base of the thumb. If these symptoms are not being prevented in time, they may interfere in your job, daily life and social activities. You will feel difficult when doing daily activities such as walking, climbing upstairs, holding daily supplies. Doctors may diagnose OA partially basing on the signs and symptoms appearing on the patient. In order to diagnose correctly, the osteoarticular experts will ask some questions relating to personal and family history as well as process clinical examinations and require diagnosed tests. Images of affected joints may be obtained during the process of imaging tests. X-ray: the X-ray images may show the lost cartilage, injured bones and bone spurs. In some people, Osteoarthritis may be diagnosed through X-ray images before they experience any symptom. Magnetic resonance imaging (MRI): MRI technique uses radio frequency waves and a strong magnetic field to creating detailed images of bones and soft tissues, including cartilage. Commonly MRI is not necessary to diagnose Osteoarthritis but it can help to provide more information in some complex cases. Blood tests or joint fluid analysis may help to diagnose Osteoarthritis. Blood test: Doctors may require a blood test to rule out the other reasons that have the same symptoms as Rheumatoid Arthritis. Joint fluid analysis: Doctors may use a needle to prick a little bit joint fluid from affected joints, then do checking and testing the fluid from the joints, from that can define the inflammatory condition and the origin of this inflammation is due to gout or due to infection. Currently, the process of Osteoarthritis basically can not be cure completely. But the symptoms can be controlled effectively if patients maintain a healthy lifestyle, moderate physical activities combining with other treatment therapies such as using medicines or surgery, doing regular exercise and keeping a reasonable body weight are generally the best ways to treat Osteoarthritis. Acetaminophen is a pain relief ingredient found in some drugs such as Tylenol and generics. Tylenol is the first choice of doctors in Osteoarthritis treatment. Most of people can use Tylenol without having any problem as long as not exceed the recommend dosage. Tylenol is proven to be effective for people with Osteoarthritis having mild pains to medium pains. Using overdosage of acetaminophen may lead to severe hepatotoxicity, so people should avoid. The total dosage of acetaminophen is not allowed to exceed 3-4gram per day. NSAIDs help to relieve pain and joint stiffness. These drugs have rapid efficiency, often within few hours. You may see the positive signs after using NSAID in one to three weeks, sometimes longer. You may need to use from two to three different NSAIDs to find out the most suitable one for you. But you should be careful, just use one type of NSAID each time. COX-2 works as traditional NSAIDs but have less side effects to the stomach. COX-2 inhibitors prevent an enzyme that promotes inflammation named COX-2 including: Rofecoxib, valdecoxib and Celebrex, however Rofecoxib and valdecoxib have been removed from US market because of leading to heart attacks and strokes. Celebrex is still being used to treat Osteoarthritis but the doctors will provide low dose and for a short time. In order to reduce the signs and symptoms of Osteoarthritis, the recommended dose of Celebrex is 200mg per day using just one dose per day or 100mg devided twice per day. Cymbalta (duloxetine) is an antidepressant approved by FDA and is also accepted to use for Osteoarthritis treatment and chronic pain such as fibromyalgia. Steroid includes methylprednisolone acetate and betamethasone being directly injected to the joints. They help to relieve pain and inflammation and the efficiencies have been proven in the knees and hip joints. The nutritious food supplements contain glucosamine and chondroitine sulfate not only helping to reduce the symptoms of Osteoarthritis but also offering benefits in pain control while having less risks as well as no side effects. However you should stop using glucosamine and chondrointine sulfate if there are no effects after 6 months using. Patients are allergic to shellfish such as shrimp, crab,..should not use glucosamine. Bioflavonoids is also introduced that it has anti-inflammatory characteristic and help to prevent Osteoarthritis. It can be found in pericarp of citrus fruits, persimmon and black grapes. 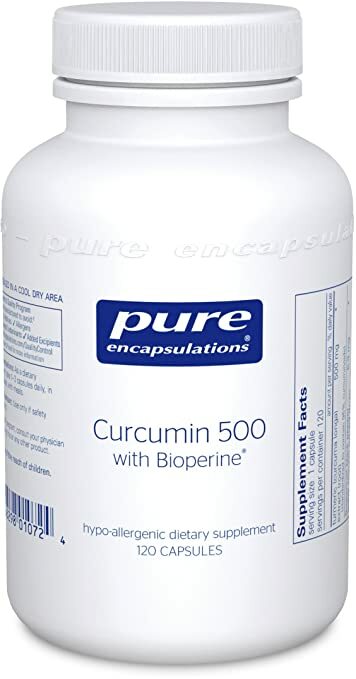 This substance helps to relieve inflammation by inhibiting cyclooxygease (COX) and lipoxygenase (5-LOX), relieves common pains and has antioxidative characteristic. Hyaluronic acid is an ingredient found in the joint fluid working as a lubricant that allows the joints to move easily. In Osteoarthritis, HA may be lost or does not work well. Artificial hyaluaronic acid may be directly injected to the knee joints to relieve pain. Artificial hyaluronic acid is usually used for patients who are unresponsive to normal treatment, can not tolerate drugs, especially Non-steroidal anti-inflammatory drugs (NSAIDs) and people are waiting for arthroplasty. In addition, a group of researchers headed by a biomedical engineer of Boston University have developed a type of joint fluid named Synthetic Polymer – it has brought the hope for millions of people who suffer from Osteoarthritis. This synthetic polymer is directly injected to the pained joints to supplement natural synovial fluid. This method currently works better than previous treatments. The researchers indicated that do exercise is one of the best ways to treat Osteoarthritis. Doing exercise helps to improve the mood, relieve pain, and increase the flexibility, enhance your heart, improve the flow of blood and maintain stable body weight. Doing exercise does not take lot of money, if you do moderate exercise, it helps you a lot to gain a good health. Exercise forms and frequency will depend on the specific disease condition of each patient. Walking, swimming and aerobic are some common types of exercise beneficial for patients with Osteoarthritis. Note that, you should stop and rest when you feel tired or feel joint pain, this is to avoid causing pressure to your joints. Heat or cold therapy helps to control the pains, joint stiffness and muscle pain. Heat therapy helps to relieve joint pain and stiffness. You can use hot towels, heat packs, hot bottles water or heat pads. Cold therapy helps to relieve pain and acute spasm. You can use ice packs or sprays to keep cool continuously in a short time. TENS is a technique using a small electrical device to create mild electrical pulses to the nerves under the skin of pain areas. TENS may relieve pains caused by Osteoarthritis. Gentel massage or massage the muscles may help to increase the blood flow and bring the warmness for the massaged areas, the painful feelings or discomforts at the joints will be disappeared. Some people have found out a solution to relieve pain, it is acupuncture. The scientists said that acupuncture needles stimulate the release of natural painkillers produced by the nervous system. For many people, surgery helps to relieve pain and avoid being disability caused by severe Osteoarthritis. Surgery is necessary to replace or repair damaged joints in severe cases. Arthroplasty: to replace total or a part of degenerative joint by an artificial joint. Deciding to use surgery depends on several factors including the patients’ age, the job, level of disability, the pain intensity and the extent of arthritis interfering in their lifestyle. After the surgery and rehabilitation, patients usually feel less pain and swelling, and they can move easily. The joint diseases in general and Osteoarthritis in particular often develop silently. When the signs and symptoms manifest outwardly, the disease condition has been severe and may cause injuries and complications to other organs such as the stomach, kidney, cardiovascular or more severe is complete disability. It is not very difficult to prevent Osteoarthritis. When you are young, let do exercise regularly, avoid being obesity, so strong movement, especially the sudden movements that may deflect joint axes and spinal column. You also need to adjust your eating habits, reduce salt and sugar and fat while increase the levels of calcium, vitamin C and vitamin D.
Patients should have regular physical activities that help blood and oxygen circulating easily and firm muscles as well as help bones to avoid being under pressure. To protect osteoarticular, you need to have moderate activities, do not stand or sit too long. Should keep straight in shape, do not hunch or incurve when sitting or standing. During the cold weather, patients need to keep the body warm, especially fingers and feet, limit going out when it is too cold. In some severe cases, the physical therapists recommend that patients should have supportive devices at home such as raised toilet seats, power-lift chairs, canes, walkers, and bathroom shower/tub bars to make their daily life activities become easier. The patients’ mentality directly affects to their physical condition, so it is esstial to have positive attitudes, keep comfortable mentalilty and stay away from stress. What is Gout disease (Gouty Arthritis)? Gout disease is one of the types of inflammatory arthritis caused by purines metabolic disorders (a colorless crystalline compound with basic properties, forming uric acid on oxidation) belonging to metabolic disorder disease group. This disease occurs when there is too much uric acid accumulating in the body. This acid causes the formation of needle-shape crystals in joints, especially in the big toe leading to soreness, redness and swelling. The horrible pains may cause people who are sleeping have to immediately wake up. The first signs of Gout are the sudden pains, swellings and stiffness commonly occurring in joints at the big toe, the knees, the ankles and the small joints in hands. These initial symptoms may be lost completely after one to two weeks. Over the time, these symptoms may occur more frequently and last longer. If the Gout can not be treated early and instantly, there is a large amount of crystallized uric acid called tophi accumulating around the joints that destroy or deform the joints. Doctors treat Gout disease according to several principles including: prevent recurrent gout, prevent the deposition of uric acid in the joints and prevent complications through the treatment of hyperuricemia syndrome. Colchicine: it has anti-inflammatory characteristic and helps to relieve pain in acute gout attacks. Do not use high dose Colchicine because it may cause side effects such as diarrhea, nausea, and abdominal cramps. It is recommended to use 100mg per day. Nonsteroidal anti-inflammatory drugs (NSAIDs): can use one of the following drugs: Indometacin, Naproxen, Ibuprofen, Ketoprofen, Piroxicam, Diclofenac, the group of selective COX-2 inhibitors (meloxicam, celecoxib, etoricoxib…). Note that these drugs may cause peptic ulcer and kidney failure. This drug can be used alone or combined with Colchicine. Corticosteroid: it is used for patients who are contraindicated with two above drugs or can not get effects from these drugs. Corticosteroid helps to relieve joint pain and swelling due to acute gout attacks. Corticosteroid can be used in pill form or can be injected directly to inflammatory joints. However it can cause some side effects such as mood changes, high blood sugar level, and high blood pressure. Allopurinol: has been used widely to reduce uric acid levels in blood, lower the production of uric acid and it may help to dissolve the uric acid crystals in tophi. The daily dose is depended on uric acid levels in blood. The starting dose is 100mg a day within one week, and then can increase to 200 – 300mg a day. Do not use Allopurinol for the acute gout attacks, just use when the arthritis condition was in remission after one to two weeks using colchicine. But note that Allopurinol has some side effects such as fever, vomit, nausea, headache, rash, allergy…It is necessary to closely monitor in the first days or even one to two weeks using this medication. Probenecid: helps to reduce uric acid in the body by increasing excretion in urine. This medication is contraindicated for patients have kidney failure, nephrolithiasis or chronic gout and elderly people. Febuxostat: reduces blood’s uric acid levels in patients with gout. It inhibits xanthine oxidase enzyme (a type of enzyme that helps to transform Purin into uric acid) to lower uric acid level in the blood. This helps to prevent gout; however it requires to use for a long term and must monitor exactly the using process. Febuxostat may cause some side effects including liver stimulation, nausea, joint pain and rash. Pegloticase: is used when the gout has become chronic and severe. Pegloticase helps to lower uric acid levels rapidly. It is injected once per two or four weeks by the infusion into a vein – intravenous therapy (IV). The side effects may include nausea, bruises, sore throats, constipation, chest pain and vomiting. A surgery to resect tophi is indicated in case of gout with ulcerative complication, surinfection tophi or large size tophi that affect to movement or due to aesthetic reason. In severe stage, the tophi may deform the joints and restrict the joint movement making patients feel difficult in moving, even causing disability in some serious cases. The tophi may burst and that makes bacteria entering to joints and causing joint inflammation, infection and blood infection that seriously threaten the life. The chronic gout may cause deposition of urate salt in the kidney leading to kidney stones. Therefore it may increase the risks of fluid retention causing kidney failure and high blood pressure. In some cases, urate compound is also deposited under the skin causing lumps and pain. Absolutely no drinking alcohol, beer and other alcoholic beverages. Do exercise regularly and moderately. Do not take too much and too hard exercise because it makes the pains in hands and feet becoming more severe. Stay away from stress and anger. It is a good idea to keep comfortable spirit and should not stay up late. Before going to the bed, soak the hands and feet in warm water in about 20-30 minutes. This method helps to soften and relax the joints, it also restricts the acute pains caused by Gout, therefore can help to restrict joint deformation. Should take medications regularly and must exactly follow the dosage prescribed by doctor. Do not abuse or arbitrarily use painkillers when having phenomenon of painful or swollen joints. Only use painkillers, anti-inflammatory drugs when having arthritis pains. Note that, taking too many antibiotic medicines is not good for your health. Limit using it as much as you can. Information About Back Pain: How To Relieve Back Pain?